Clinician Business Labs | Where Clinician's learn to build their practice. Download our simple clinician fee schedule calculator. We help to build sustainable and impactful clinician entrepreneurs. Clinician Business Labs supports regulated, complementary practitioners looking to build a clinical practice with IMPACT. There are many options that will teach you to scale your business online… But what if you want to work with patients one-on-one? Clinician Business Labs is an online incubator for clinician entrepreneurs. Incubator: [in-kyuh-bey-ter]An incubator is a business acceleration organization that assists start-ups and entrepreneurs in building and launching successful companies. The First 18 is an incubator for wellness clinicians and entrepreneurs as they launch their new practice or business from inception through the first 18 months. We value authenticity, service, contribution and a badass desire to change lives while simultaneously building a life. Our mission is to launch successful, sustainable practitioner entrepreneurs who can heal and inspire without the fear or overwhelm that accompanies the launch of a new, or frankly, any business. CBL was founded by practicing Naturopathic Doctor and serial entrepreneur, Dr.Meghan Walker. These concepts are powerful drivers of health and momentum. The CBL membership is a community of innovative clinicians, dedicated to providing effective care through the foundation of a strong business. Leadership as clinicians requires an equal dedication to our own vision for our careers, families and lives. The CBL membership provides enriched monthly programming and exclusive access to events, conversations and content that will move you business and life to new levels. Join likeminded Clinicians in our private Facebook community. Get access to exclusive training and take part in the discussions. 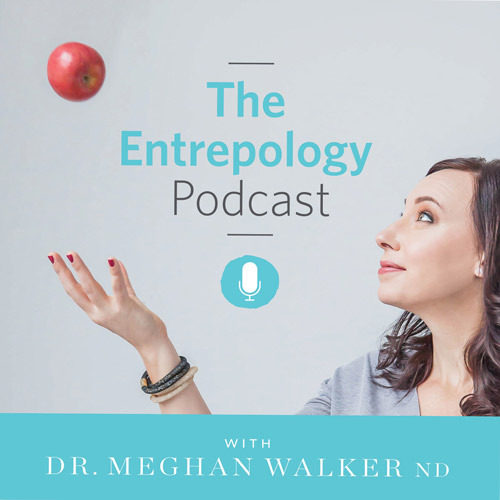 The Entrepology Podcast is hosted by Dr. Meghan Walker ND. Join her as she engages world class practitioners, entrepreneurs and go-getters as they unlock and deconstruct the secrets to their success. The Entrepology Podcast supports the health and optimization of women on a mission as entrepreneurs and world changers. Are you a practitioner looking to have massive impact, but still want to work one-on-one with patients? The First 18 has been designed for practitioners, in years 1 through 4, who are setting the foundations for their practice. The 8-week, online program, runs each fall and winter and has been designed to take practitioners through the foundational business knowledge required from the moment of business inception through the first 18 months of practice.